A trailer suspension works hard, and trailers frequently see a lot of use. On the secondhand market, it can be easy to purchase a trailer thinking it’s ready to go, only to encounter a major problem once you put weight on it. No matter how long you’ve had your trailer, suspension problems can occur. These don’t just affect the trailer and its load, however, these problems can also negatively affect the vehicle towing them. Get effective trailer suspension repair in Mesa, AZ from Straight Line Suspension and get moving. 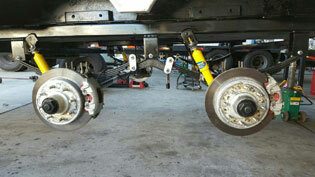 Get complete trailer suspension repair. There are many components to a trailer suspension that can affect its functionality. 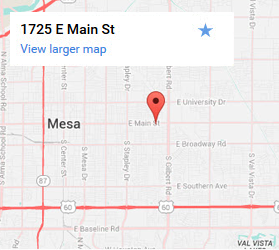 Not only can we provide a complete diagnosis of your trailer suspension, Mesa, AZ technicians from our shop can repair any problem you may have. Our facility is equipped to handle trailers of every shape and size. Whether your trailer is used to haul small or large loads, vehicles, boats, livestock, or anything else, our technicians can accurately diagnose and repair it. Don’t wait another day for trailer suspension repair! If your suspension is in need of repairs, it shouldn’t see active use until it is fixed. Oftentimes a compromised trailer suspension can harm the vehicle towing it, or even lead to a total failure. One of the first things we’ll do is make sure your suspension and trailer can support the load you intend to carry. If you haven’t had your trailer professionally fitted, it may not be right for the load it is expected to support. This can cause extensive damage to the trailer and vehicle. We’ll make sure you’ve got the right trailer for your load before carrying out diagnostics and repairs. We look forward to serving your trailer alignment and suspension needs! Contact us for trailer suspension repair today! Experienced trailer suspension repair starts at Straight Line. When you need experienced, affordable, and efficient trailer suspension repair in Mesa, AZ call (480) 422-8511 or contact us today.